Renault SYMBIOZ, an innovative concept to be unveiled at Frankfurt Motor Show Sept 12, will be an opportunity for Renault to describe its vision of mobility by the year 2030. This new concept addresses customer expectations in the future related to mobility and lifestyle, as well as the environmental and urban challenges that lie ahead. It is also a way for Renault to explore autonomous, electric, connected mobility in the future. 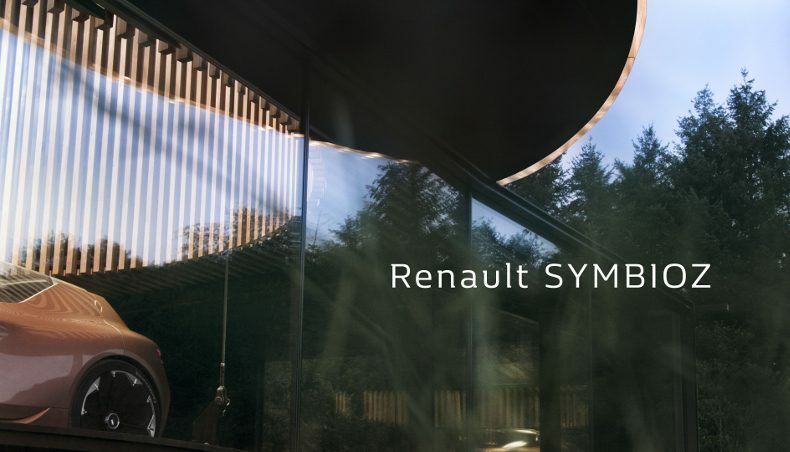 Renault believes that the automobile of the future – embodied by the Renault SYMBIOZ concept car – will function harmoniously and in permanent interaction with its environment, road network infrastructure and the digital lifestyles of its occupants. The letter ‘Z’ at the end refers to the all-electric Z.E. technology that powers the car. Renault invites you to find out more about how it foresees the motoring ecosystem in the future at the 2017 Frankfurt Show where Thierry Bolloré, Chief Competitive Officer, Groupe Renault, and Laurens van den Acker, Senior Vice President, Corporate Design, will present Renault SYMBIOZ at a press conference.